Stay away from those Halloween Treats With This Recipe!! I used to LOOOOVE me some Reese's!! Really anything with peanut butter makes my happy so when I tried this recipe you can understand why I instantly became hooked! A few simple ingredients gets you a flavor that you can LOVE and help you stay away from those Halloween treats that will be creeping into your house before you know it! Throw in your blender for about 30 seconds and enjoy!!! You can add oats for even more texture and thickness. It tastes amazing, helps curb your cravings, and makes you feel GOOD all in one!!! I'd say it's a win, win!! This is How You Bring Elvis Back! "I'm all shook up" with this recipe! It is quickly becoming one of my new favorites to knock out my sweets craving! I love me some peanut butter and bananas in a sandwich so I wanted to find a way to create the same flavor with my shakes!! Didn't take much thought and only a few ingredients and BAM, I've got Elvis' favorite sandwich in a cup with 70 different super foods in it! "Can't help falling in love" haha okay, I'll stop. Blend together and enjoy with your favorite Elvis song!! Cool down this summer with this quick and easy Shakeology recipe that was an easy one for us to LOVE! It's not only DELICIOUS but it's healthy too! No preservatives, no bad sugars, no artificial flavors, AND 70 different superfoods! It's a new staple item in my freezer for sure! Mix ingredients into blender, pour into popsicle molds and freeze! Try them! I know you'd love them! I'd like a pumpkin spice latte with 70 different nutrients in it, that gives me more energy naturally, makes my immune system stronger, reduces my cravings throughout the day, oh and tastes GOOD, please! Mission accomplished! I made this delicious recipe during the everything is pumpkin season and it was so good! If you're looking for your pumpkin fix that's also healthy no matter what season it is, this is it! I haven't been in a while, but I was missing some of the smoothie flavors!! One of my go-to smoothies was Sunrise Sunset and I just made a DELICIOUS & nutrient dense replica!! MMmmm smoothie heaven! I just love getting to try out new recipes to mimic some of my favorite smoothies and drinks! 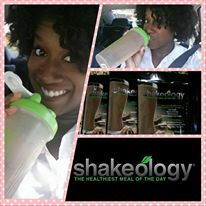 It feels good knowing that I am getting all the nutrients I need in one shake AND it tastes so good! I just made the most AMAZING shake with one ingredient added. Vanilla Shakeology + simply orange w/mango = a NUTRITIOUS shake that tastes better than DQ's Orange Julius! You can add a banana and some plain greek yogurt to add more flavor and an even smoother texture!! I almost want to make another one right now! Try it out and let me know what you think!